This year’s Touch a Truck event will be held on Saturday, March 8 from 10 am until 1 pm and includes a Food Drive to Feed the Hungry. 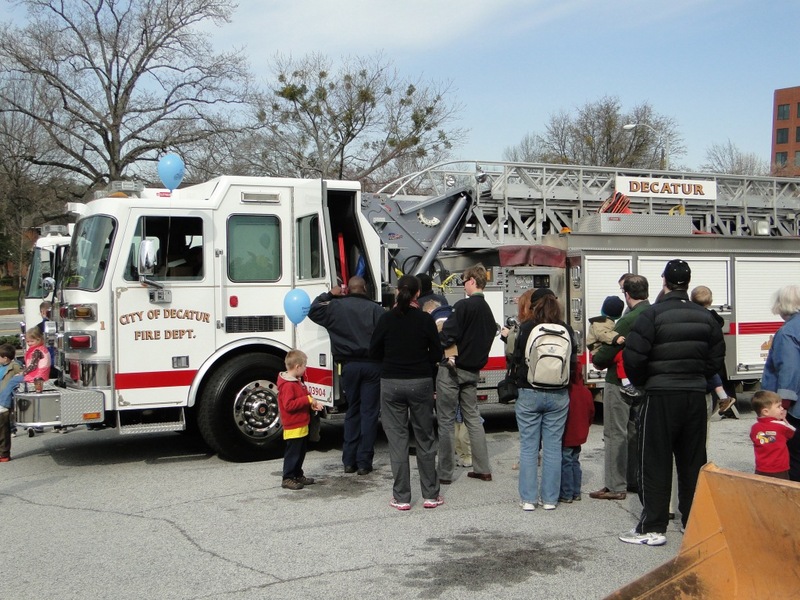 Children of all ages are invited to touch, explore and see their favorite truck or equipment on wheels. Vehicles from both Decatur and Decatur County will be featured and inlcude Fire engines, street sweepers, police patrol car and motorcycle, a bukcet truck, garbage trucks and the crowd favorite, the VAC truck. The event is free, but please bring canned or non-perishable food in celebration of National Nutrition Month. Decatur Active Living and Decatur Firefighters will be collecting the food to “Feed the Hungry”. For more information, please contact cheryl.burnette@decaturga.com. Enjoy some photos from last year’s event! I like the slide show of pictures. Looks like a fun time.